An experience of living in the New Plane of Existence. You will learn to work and harness advanced vibrational energies that are needed and have practical tools to take back into your home life. 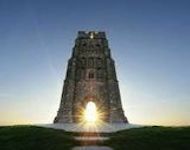 The workshop is over seven days and located in a bubble of pure high vibration energy that taps into the amazing energy source of mount Shasta, USA and also Glastonbury, UK. The training is supervised by the Council of Beings of Light. They have been through similar changes of consciousness before and are the source of the information used in the workshop. Join us in a beautiful natural setting learning sacred knowledge and skills. Use high vibrational energy therapy for healing illness, disease of organs such as cancer and terminal infections. The workshop is located in Mount Shasta, California and set in a peaceful setting, with sunning views of mount Shasta. The nearest national airport is Redding via San Francisco international airport. The tutor fee for the 7 day workshop is $1555, and low cost accommodation is available. The training is led by Reena Kumarasingham, and the language will be English. 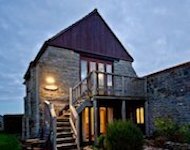 The workshop is located in Glastonbury, UK and set in a peaceful setting, with sunning views of Glastonbury Tor. The nearest national airports are Bristol and London. 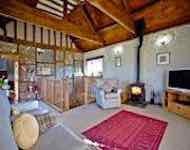 The tutor fee for the 7 day workshop is £1111, and accommodation is available. The training is led by Reena Kumarasingham, and the language will be English. The Advanced Vibrational Training course is truly a magnificent experience. Reena and Andy are extraordinary facilitators. Their wisdom, depth of experience, humour, enthusiasm, love, and innate joy is heartfelt and boundless. You will learn incredible energetic techniques, through lecture and experiential practice in nature, which will alter the way you see the universe and yourself. After taking this course, you will gain a deeper and more profound sense of who you are. Furthermore, Mt. Shasta is as energetically supportive and visually stunning as one could hope for. If you are searching for an expansive and transformative workshop - this is it…make space to be AMAZED. - Nikki Gusberti, Canada. All the components are amazing on their own - the course contents is magic that you can actually experience in real life (even if your are very much in your head like me! ), Reena is the most amazing teacher who radiates pure joy and love and guides her students with this awesome energy. 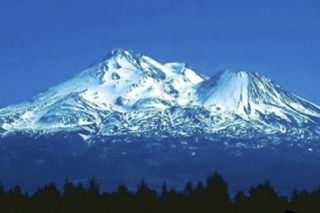 Mt Shasta is a miraculous place with fantastic energy spots in nature. All put together gave me a miraculous week of incredibly fast and effective learning, breaking loads of barriers I wasn't even aware of, uncovering new colours of existence I never dared believe were possible. Now, on to the integration and applying these amazing techniques in real life - very exciting. I am hugely grateful to Reena and Andy, the Council of Beings for generously sharing their techniques and being incredibly supportive, an amazing group of students, and Shasta for welcoming us! Looking forward to AVT 2! - SJ, UK. "My head is bursting with the joy of the unknown. My heart is expanding a thousand fold."